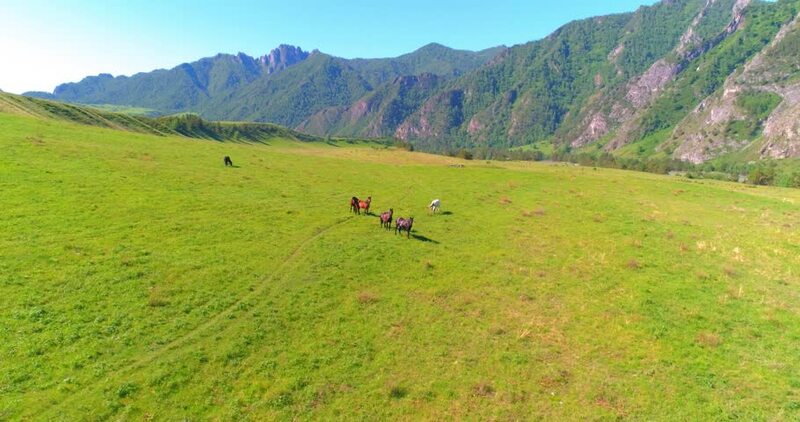 Aerial UHD 4K mid-air flight over wild horses herd on meadow. Fly over spring mountains wild nature. Beautiful animals at summer rural green grass farm. Freedom ecology concept.